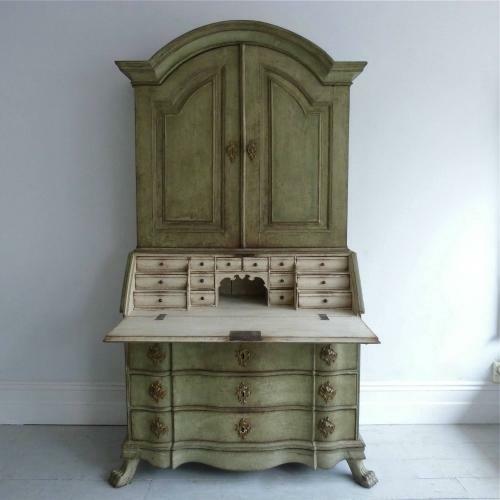 An exceptionally fine and beautifully carved Scandinavian secretaire with high arching Rococo crest, panelled doors, panelled and geometric carved desk lid, serpentine drawer fronts, decoratively carved apron, claw feet and original brass escutcheons. Inside lies an exquisite contrasting interior with richly carved drawers to the desk and cupboard above. Stunning later paint with a beautiful patina. Danish circa 1750.